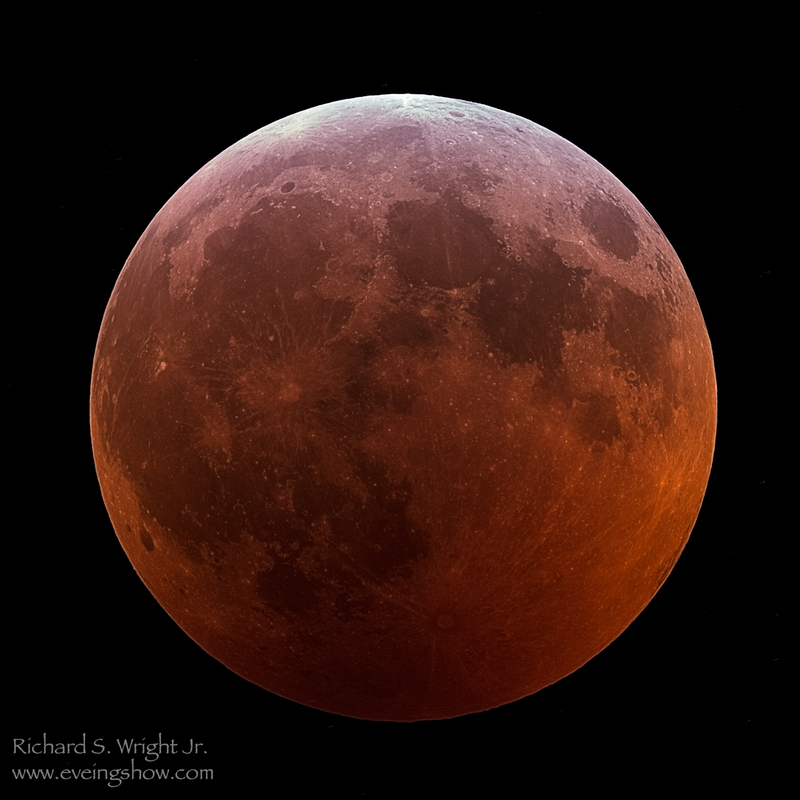 The Evening Show – Astrophotography of Richard S. Wright Jr. I just love globular clusters, both visually and photographically. Omega Centauri is the undisputed king of globulars and is only accessible from the Southern states. What’s really great about this image is that I took it at the 2011 Winter Star party in the Florida Keys. That’s 8 years ago! 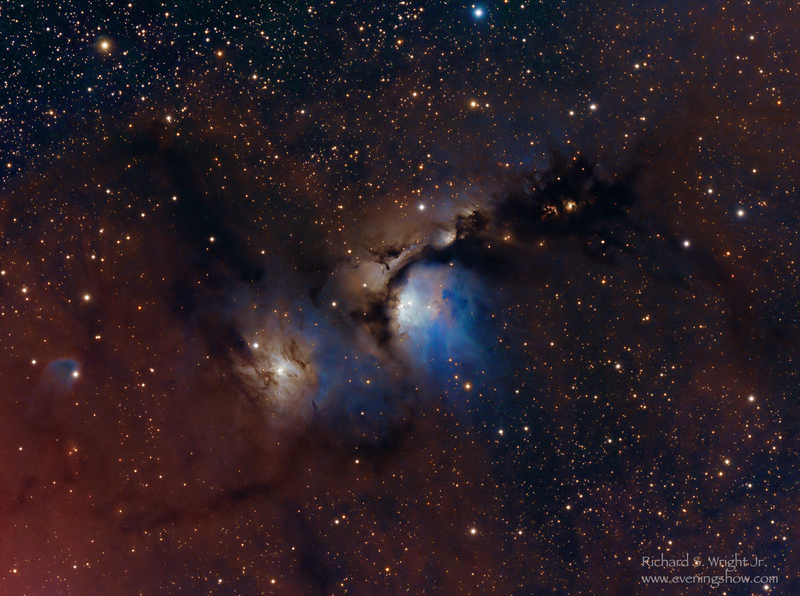 My original attempt at processing the data is a bit less than stellar<g>. However I kept the original calibrated and stacked data set and just spent a few minutes on it to bring out this beauty! You can read more about it over at The Accidental Astronomer. If you haven’t visited my blog over at Sky & Telescope, now’s a great time to sample them. My latest post is about stretching data, and it builds on the last few posts which delve into linear and non-linear data, and what all this stuff about “bit-depth” is about. Typically when I write or speak, I don’t like to delve into clever processing tricks, but I like to cover the fundamentals. Getting good data, proper calibration and understanding the nature of what you have. If you have this foundation down, processing the images and getting “pretty pictures” is 100x easier! I just love the colors on this nebula, which features both blue reflection nebulosity, and red from hydrogen emissions. I’ve been so frustrated from the weather this year and we are well past when the dry clear skies should have come to Florida, and it’s still as wet and rainy as the summer time (and this is now late December!). I was doing some organizing and discovered an SD card with data from the Texas Star Party. I remembered doing a quick run of this data and was disappointed because of some artifacts after stacking. Since then, I’ve learned a thing or two, and gave it another go… and hour later, I had this lovely flower. I’m so happy with it, and it was still a chance to process some “fresh” data! Found treasure. Seems the clearest skies come with the brightest Moon. No problem, I love the moon too! 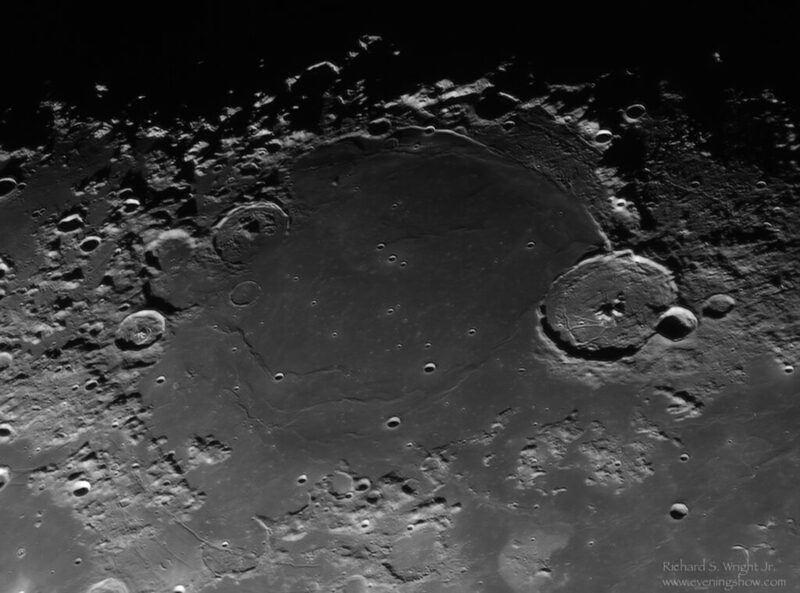 I’ve been working on some new code that creates video files for “Lucky Imaging” and tried it out last night on the moon with a ZWO 120 Monochrome camera and a Sky-Watcher 180mm Mak-Cas telescope. I know it’s over kill, but the Paramount MX+ sure made this easy. Using ProTrack and the custom tracking rates, no matter where I put it on the Moon it just stayed right there. I did over 10,000 frames and stacked about 35% of the sharpest ones and then did a few final adjustments in Photoshop. I loved this area, there’s so much detail to be seen and all kinds of great geography to study. Well, it’s been a busy month! In this month’s Sky & Telescope Imaging Foundations, I tell you how to easily determine the best ISO to use for low light Astrophotography.